Hello there guys! Sorry about my hiatus, but I've been suffering from the dreaded man-flu. I am finally back with yet another list, this time I'm counting down my most anticipated games of 2014. My ranking here runs from 5 (excited, but I can wait for a price drop) to 1 (a midnight launch must-have). Each time this game gets postponed, my enthusiasm dies a bit. I had intended to buy this game for the Nintendo Wii U, but now I think I might end up picking this up for the PS4 when the Wii U copy comes out to save those dollar dollar bills. I am somewhat pissed at Ubisoft for delaying this game again because I had great hopes back at E3 2012 when they showed it. Destiny will be Bungie's first first-person shooter since Halo. This one will be a three-player co-op team-based game where you get to meet other fire teams online. I am really looking forward to it, because the team behind it was also behind one of my favorite gaming franchises of all time (Halo, of course). I hope this game will live up to the hype and be around for a very long time. This will be a new IP for the Tom Clancy series and this game just looks amazing. The graphics are the best I have ever seen for the next generation of consoles. Again, this is a team-based game with other players around the world trying to survive in a wasteland of Manhattan. I can't wait to pick this up and play with my buddies online and go exploring to see what dangers lay waiting for us. Is this really a surprise to all of my readers? As we all know, I am a huge Nintendo fan, so when you have a universe built around these great characters, of course this will be my number one! 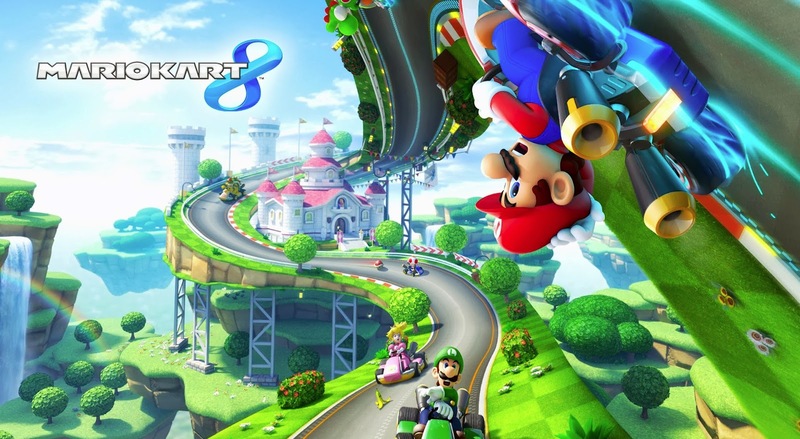 I cannot wait to get this game on both Nintendo platforms (Nintendo Wii U, Nintendo 3 DS). I have always played as Link, but seeing who has made the roster this time around, there are a few I have my eye on (Mega-Man, Little Mac). So those were my top 5 most anticipated games of 2014. Please let me know in the comments below what games you are looking forward to and why! Remember to check out these other great lists that I have written: [Top 5 video games of 2013.] [ Top 5 Movies] and remember stay frosty.